NiaZamar: Redefining Beauty is a multidisciplinary social enterprise utilizing art, education, and beauty to empower people. Services provided by NiaZamar: Redefining Beauty all aim to support self-love and empowerment in each client. The goal is to not only style your hair and apply your make-up, but to provide you with a healing space, support your journey and customize your look to best suit your personal needs. Workshops are designed and developed to empower all. By connecting with community through story telling and discussions exploring identity, self-love, healing, art, and beauty, you will experience a greater sense of confidence, skills, and community connection. Our products are for your body, mind, and soul. With an understanding that feeling beautiful requires outer and inner support, each product is meant to empower your self-expression, self-love and artist soul. We encourage unapologetic self-care; our products provide a way to wear your inner self on the outside. NiaZamar: Redefining Beauty is a beauty wellness social enterprise, empowering self love via mind, body, and soul. With a mission to redefine and challenge what beauty is through multidisciplinary artistry, NiaZamar provides holistic inclusive beauty using make-up, hair artistry, workshops and beauty products. NiaZamar caters to your unique identity and personality for personalized results. All workshops and services aim to be body positive, anti- racist, LGBTIQ2 friendly, nonjudgemental and affirming. NiaZamar: Redefining Beauty empowers everyday people to tell their story and self define beauty. NiaZamar was birthed from stories. Tanya Turton spent seven years in the community working with youth and listening to stories of their experiences and resilience. During this time she also worked in one of Toronto's high end salons located in Yorkville. After years of listening to stories from community and clients revealed there was a disconnect between the beauty industry and individual clients and their journeys of self-love and self-acceptance. It was Valentines Day of 2012 when she facilitated a self-love workshop to a group of youth that the idea of how to fill this gap was born. NiaZamar: Redefining Beauty was born out of the strong belief that communities and people should have the power to create and decide what beauty is. Art has always been a form of storytelling and a tool to create change. NiaZamar: Redefining Beauty was developed as a tool to reimagine the blue print for beauty. Through workshops, hairstyling, and make-up artistry we hope to redefine beauty and empower the belief that we are all beautiful. The name NiaZamar: Redefining Beauty comes from Swahili and Hebrew. The word Nia translates to "Purpose" and the word Zamar is defined as to make music or sing praise. The name represents our purpose on earth being linked to the creation of art as a way to bring forth love and heal. 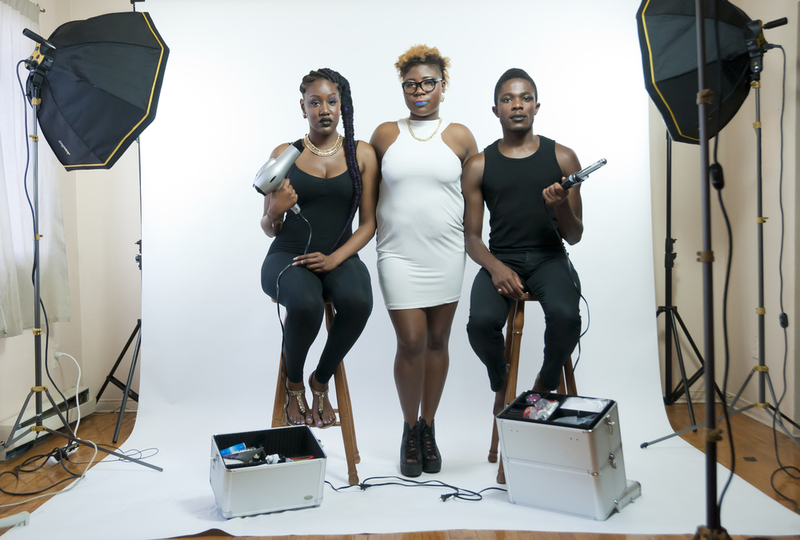 The business is rooted in the idea that hair styling, make-up artistry and all other arts can be used as tools for education, skills building, storytelling, healing, and exploration of identity and beauty. NiaZamar uses art to empower self-love and beauty. This is its purpose. We aim to put beauty definitions back into the hands of our communities while simultaneously providing a space where art and beauty can be used to heal us. Using education, services and products we aim to empower individual people to express their unique identities and strengthen their love for self. We want to live in a world that values the nuances and complexities of everyones beauty. A world where the definition of beauty is limitless and holistic. Centred in love and creativity, we hope to redefine and challenge what beauty is. "MY MISSION, SHOULD I CHOOSE TO ACCEPT IT, IS TO FIND PEACE WITH EXACTLY WHO AND WHAT I AM. TO TAKE PRIDE IN MY THOUGHTS, MY APPEARANCE, MY TALENTS, MY FLAWS AND TO STOP THIS INCESSANT WORRYING THAT I CAN'T BE LOVED AS I AM"